You'll be hoping your numbers come up in our bingo session – don't forget to pack your Stetson! The countdown is on to the 2014 Practical Caravan Reader Rally. Once again we’re joining forces with our sister magazine Practical Motorhome and, again, heading west from the magazine’s London HQ to Combe Martin in North Devon and Stowford Farm Meadows for the first May bank holiday weekend (2-5 May 2014). And with a campsite full of readers to entertain, you’ll be pleased to learn we’ve got a lot planned. Have you got a burning question, a problem you’ve simply never been able to resolve? Then you’re in luck, as both Saturday and Sunday will kick off with expert Q&A sessions. The ever popular face painting also features on both days. Need to let the kids let off some steam? There will be five-a-side football in the rally field on Saturday 3 May and the following day there’s a fun and friendly sports day. And, as in previous years, the sports day will close with a special race for mums and dads – involving Aquarolls! Undoubtedly one of the weekend’s highlights happens late on Saturday morning when the dog show takes place. With four-legged friends of all varieties participating, it’s sure to be another memorable show – who will be crowned top dog? What else can you expect if you’re coming to the 2014 Practical Caravan Reader Rally? 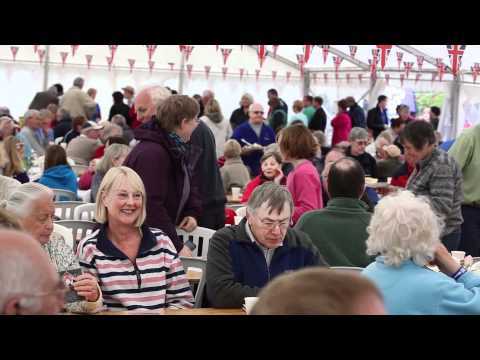 Well, of course, caravan holidays in Devon would surely be incomplete without a cream tea – and if you’re at our rally on Sunday afternoon, you can tick this off your holiday to do list, accompanied by a brass band. You’ll be hoping your numbers come up in our Saturday afternoon bingo session, after which ferret racing will be sure to keep visitors of all ages amused. Later that day it’s BBQ time, ice creams served afterwards, meaning you are fortified and ready for the evening’s barn dance – don’t forget to pack your Stetson! There’s more fun come Sunday. Come and watch the quintessentially English morris dancing before you take tea in the marquee. Then it’s our prize giving and raffle – and with some cracking prizes up for grabs, this is something you’re not going to want to miss. Then again there’s a lively evening of entertainment, including a disco. So there’s lots going on and whether you’re a first timer or a Practical Caravan Reader Rally veteran, we’re sure there will be something to entertain you. Members of the Practical Caravan team will be joining in too, and we’ll be filming for our TV programmes on The Caravan Channel. We’re ready – are you? All that’s left to do is to pray for good weather. Please keep your fingers crossed and we will see you there!